The countries of Southeast Asia have rarely found it easy to cooperate, despite founding one of the world’s best-known regional clubs — the Association of Southeast Asian Nations — over 50 years ago. With the members in very varied political and economic positions, they have found it tough to launch concrete joint projects. So in a welcome move Thailand, Cambodia, Laos, Myanmar and Vietnam — half of ASEAN’s 10 members — have announced a common infrastructure and development fund. The Ayeyawady-Chao Phraya-Mekong Economic Cooperation Strategy (ACMECS) Fund comes at a pivotal moment, with Chinese power growing in the region while the U.S., the long-standing dominant force, seemingly in retreat. Beijing has found it all too easy to buy influence in ASEAN states with loan-funded infrastructure schemes and investment pledges, whilst at the same time spreading unease over its military expansion, especially in the South China Sea. The region’s changing geostrategic situation tops the agenda at the ASEAN foreign ministers’ annual meeting in Singapore on July 30-Aug. 4. While details of the new Thai-led fund, including the amount of money involved, are scarce, the project shows ASEAN countries demonstrating a much-needed willingness to take the initiative and assume some joint responsibility for the region’s future development. The fund, to be jointly managed by the five founding states, aims to help Southeast Asia to become more financially self-reliant and reduce its dependence on external economic and political giants, particularly China. 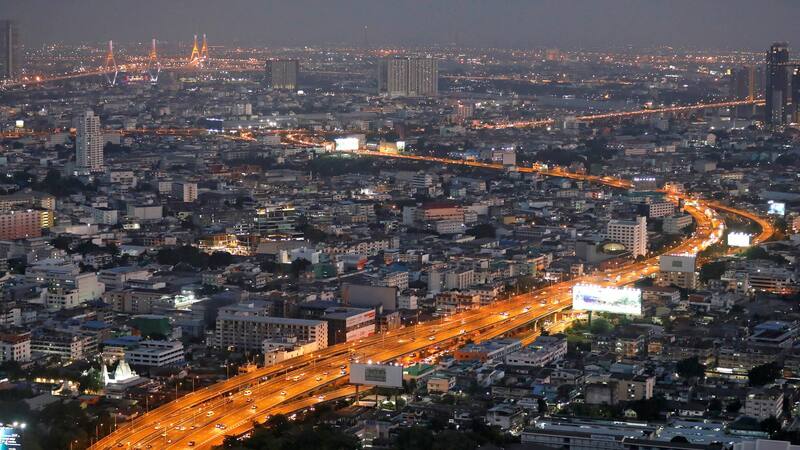 It is expected to raise money by issuing debt for specific infrastructure projects, according to a senior Thai official. However, in a reflection of economic reality in a region still reliant on external capital, the fund is open to financial contributions from countries and institutions beyond Southeast Asia. While ASEAN ministers are reluctant to criticize Beijing, it is clear they are worried about China’s role in the region. China is the biggest trading partner for ASEAN members, ahead of both the U.S. and Japan, with China-ASEAN trade reaching a record high of $514.8 billion in 2017 — a 13.8% increase from the previous year. Even Vietnam, despite its traditional enmity with China and its recent development of close ties with the U.S., exports more to China than to the U.S. Substantial Chinese-backed infrastructure schemes abound, for example, a showpiece railway from China to Thailand via landlocked Laos, which could, one day, extend to Singapore. Beijing has also boosted military aid, for example, to Cambodia, where it pledged $130 million in additional defense funding during the Chinese defense minister’s recent visit to the country. Chinese economic largesse has made it capable of exerting growing political influence. In the South China Sea (SCS), the biggest bone of contention in the Asia-Pacific, an international tribunal ruling against China in 2016 on territorial issues has not deterred Beijing from building artificial islands and increasing military activities. The Philippines, which is one of the primary claimants in the international arbitration against China, has had come into understanding with Beijing under which it seems to have accepted China’s growing maritime presence, despite concerns among some Philippines foreign policy officials. Manila’s ambivalent position highlights the difficulty of developing ASEAN-level regional security, since it is hard to make common cause against China when some member states — notably Cambodia — are becoming ever more deeply entangled with Beijing politically as well as economically. Such misplaced loyalty to China comes at the expense of fellow ASEAN members. The U.S. and its allies have mounted a challenge to China in the region with the Quad arrangement — a loose U.S.-led security grouping that includes Japan, Australia and India and covers the Indo-Pacific. These four countries want to work with ASEAN, as Indian Prime Minister Narendra Modi argued at the recent Shangri-La Dialogue conference in Singapore where he called for ASEAN to have an integral in maintaining a rules-based order in the Indo-Pacific. Putting some military flesh on these bones, India and Singapore last November agreed on enhancing cooperation in maritime security to ensure “freedom of navigation” in important shipping routes such as the Malacca Lombok and Sunda Straits. But the difficulties in challenging China have been highlighted by India’s failure to join the Malacca Strait Patrol (MSP), a security arrangement between Thailand, Indonesia, Malaysia and Singapore. New Delhi’s proposal has been shot down by Indonesia as it is concerned that the sovereignty of the littoral states on the straits would be compromised by including India in the patrol. Jakarta’s major underlying reason is very likely the worry that China might follow suit if India were granted access. Once again, a promising initiative has fallen foul of the region’s complex politics and divergent views within ASEAN. In such a scenario, the proposed regional fund to foster a financially self-reliant ASEAN faces a tricky future. The five countries backing the fund are all major beneficiaries of Chinese investments and military aid. They will struggle to avoid conflicts of interest. They may fail to agree on key issues. But the idea is worth trying. Stronger and deeper cooperation within ASEAN is vital. The group was originally founded in 1967 as a U.S.-backed alliance for economic development to stop the spread of communism. It now needs redefining in a world where the global communist threat is history but where Communist China has emerged as a powerful counter to the U.S.
ASEAN needs projects like the fund to promote regional unity at a time when its political cohesion is challenged by disparate alliances forged by some of its members with China. Whether the trade ties and economic relations that bind ASEAN together will be strong enough to survive in the face competing strategic choices remains to be seen. But the fund’s five partners are right to make the effort to stand together. Syed Munir Khasru is the Chairman of the international think tank The Institute for Policy, Advocacy, and Governance (IPAG).